Of course, in this VMworld 2014 there is space also for NSX with lot of sessions, user cases and related news. Related news maybe are not so big as in the past year (the first official announce of NSX), but anyway there is something interesting. 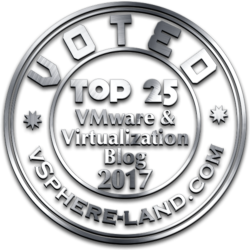 First to all the certification path on Network Virtualization: as written in a previous post, there are already the first (big) group of VCDX-NV. 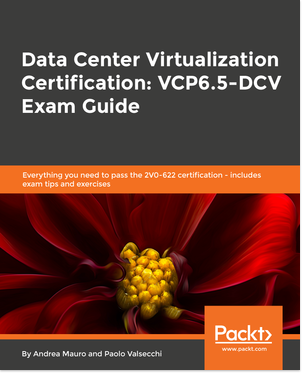 Now the certification page is update also with the blueprint for VCDX-NV and VCP-NV (you can already ask for the authorization for it) and the new certification VCIX-NV (instead of the VCAP level) will be also available soon. 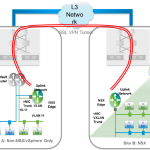 Other news are related to new product releases: NSX for vSphere 6.1 and NSX Multi-Hypervisor 4.2. 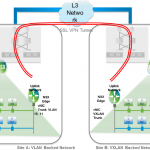 NSX Multi-Hypervisor 4.2 is a minor release and will be GA in Q3 2014 and will fix the Heartbleed issue. Upgrade from any 4.1.x release is supported. Most significant new feature is the controller HA/Hitless upgrade. Other related functions are: DHCP Relay, OVS performance enhancements, Security Profile scale enhancements and Scale targets unchanged. 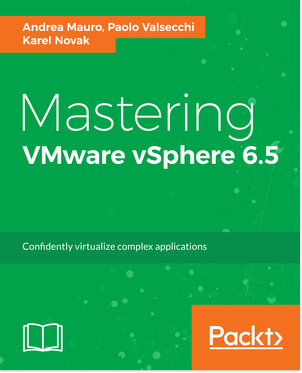 But of course, the most interesting set of features and functions are about the vSphere version of NSX that will be numbered 6.1 (funny that the versioning is actually mist-alligned with the vSphere version). DHCP Relay:Allows integrating external DHCP servers in the physical world and several DHCP servers can be configured per logical router ports. Two Stage ECMP Support: Allows high-availability and scale out introducing equal cost multi path routing. Also use bandwidth available on all uplinks and balance the load across the Edges. 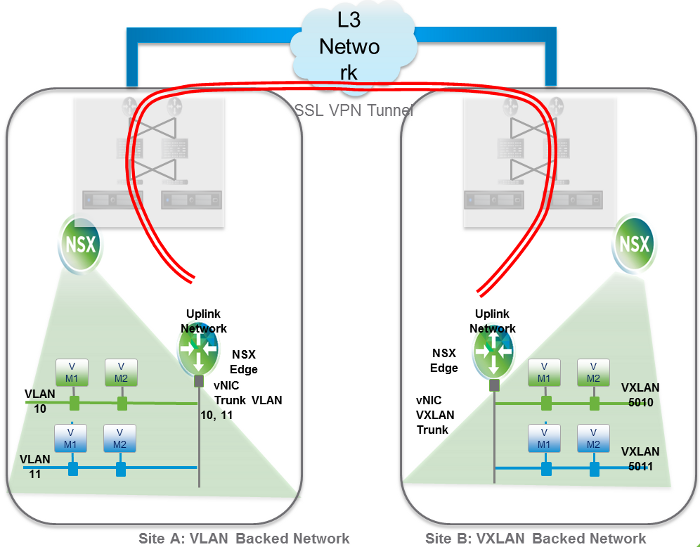 L2 VPN: You can now trunk multiple VLANS of multiple VXLANs from one datacenter to another allowing, for example workflows migration (is an enhancement from the previous version). 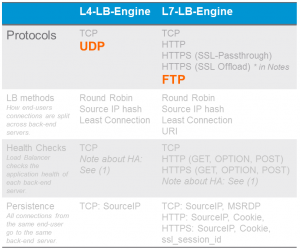 Load Balancing Enhancements: Now allows load balancing of UDP based services and also FTP. A new partnership with F5 to provide its balancer alongside NSX standard. 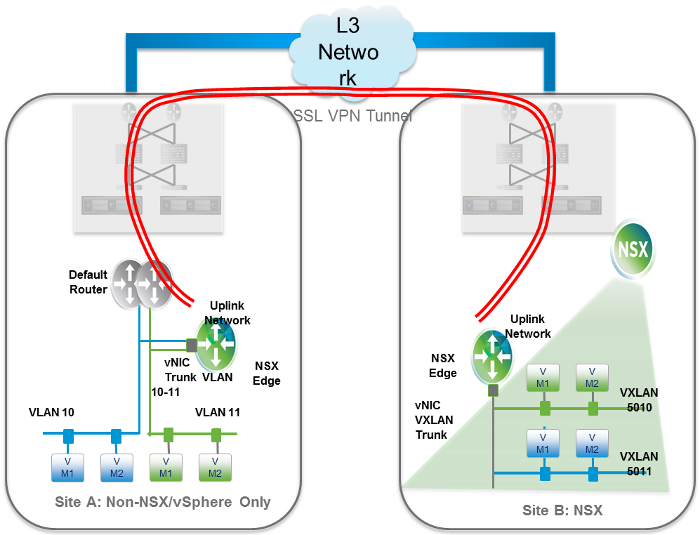 For the Load Balancing NSX could be a powerful tool and actually it support several protocols and also SSL Offload. 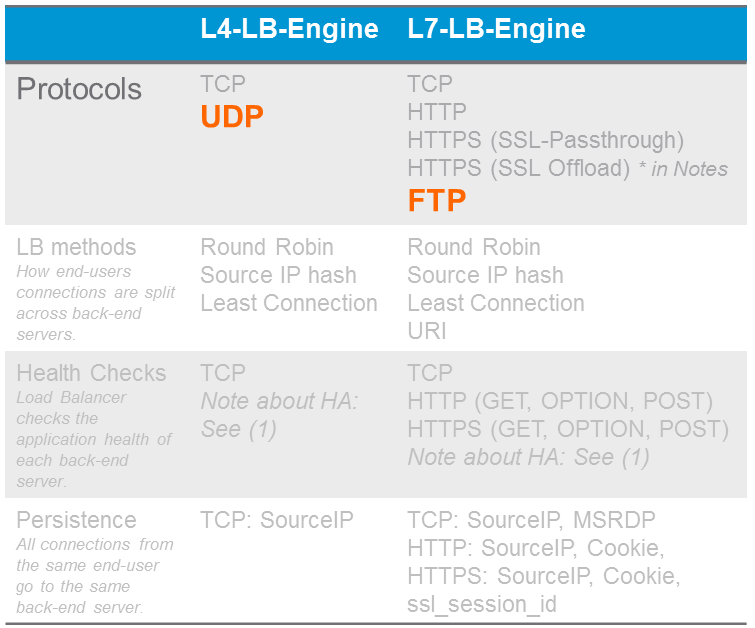 SSL Offload with hardware assistance is available when AES-NI instruction set is available on the host CPU (this is available with all Westmere and newer CPUs from Intel and all Bulldozer and newer CPUs from AMD). Of course the integration with 3rd part tools or solutions (like F5) can extend the features and the set of supported protocols.